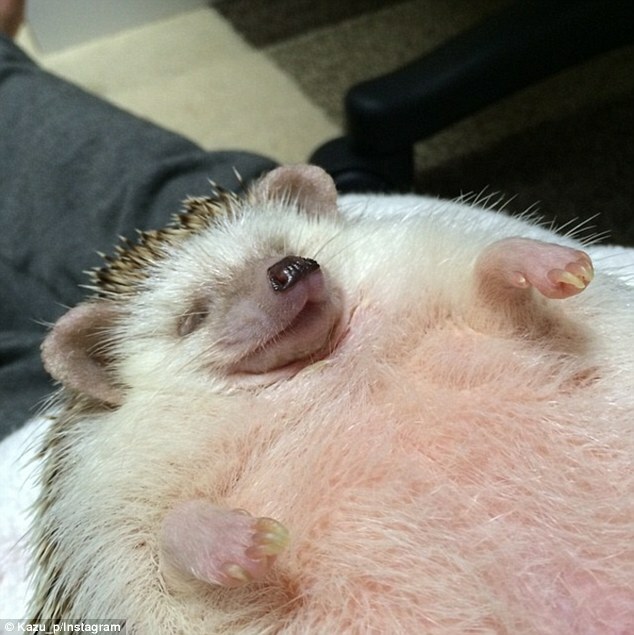 The pampered pet has been caught on camera by its owner as it indulged in a tummy massage, completely oblivious to the fact that the whole thing was being filmed. 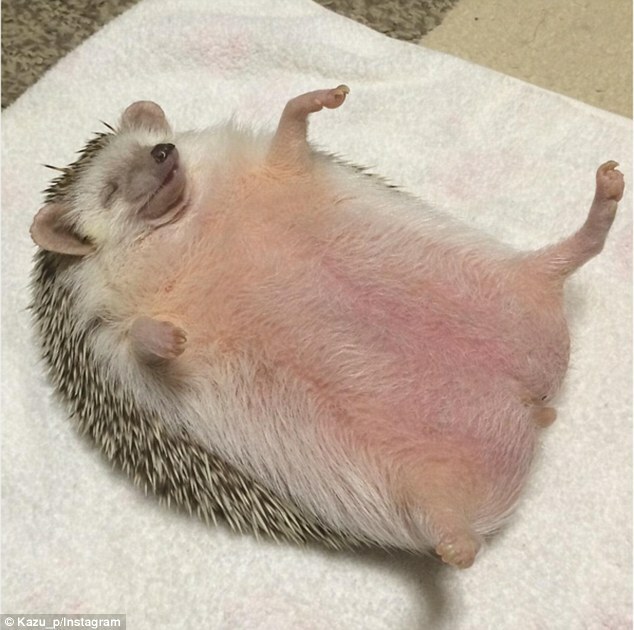 The adorable hedgehog looks totally chilled out as its owner massages its belly, even stretching its front legs out at one point as it relaxes into the fluffy towel. At one point, it even tilted its head back and closed its eyes, savouring every last second of the tummy rub. The video shows Hana lying down on a towel after having her nails clipped as she receives a belly rub which puts her to sleep. 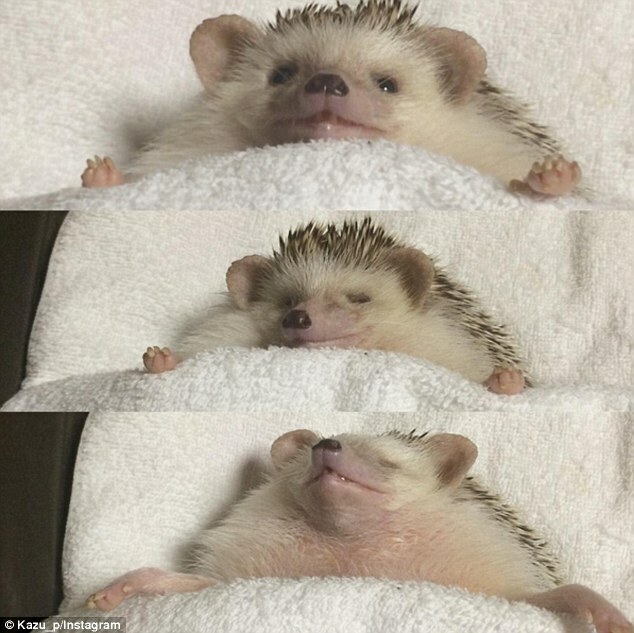 The hedgehog is seen relaxing, making an adorable sleeping face. 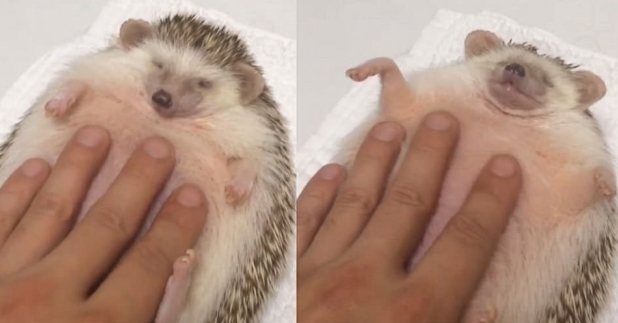 Responses to "World’s Chillest Hedgehog Gets A Belly Rub"
Nice, we have them in Sweden!